These new weed-infused coffee pods will elevate mornings and leave spirits high for hours to come, and they are environmentally responsible. With so many ways to enjoy cannabis these days, it was only a matter of time until another weed-infused coffee made its way to our countertops. Instead of eating a sugary edible or smoking a joint, which could potentially leave an odor behind, BrewBudz has made it easy for medical cannabis consumers to drink their cannabis while enjoying their morning cup of joe. Every morning, many of us wake up and find the energy to get through the day by starting with a cup of coffee, or five. The caffeine provides alertness and mellows attitudes just enough to keep us flowing through our daily routine. 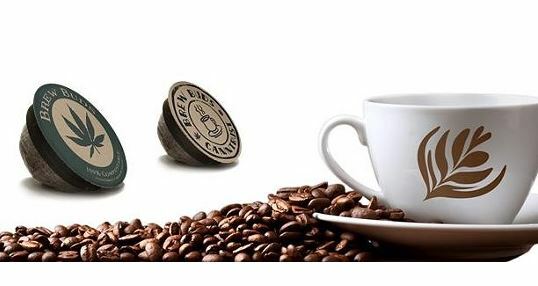 In recent years, Keurig and their K-cups have made coffee simpler and more accessible than ever. We’ve all got our favorite blends of morning roast or donut shop blends, even tea, and hot chocolates have found their way into the Keurig world, giving us endless options to spice up our mundane mornings. 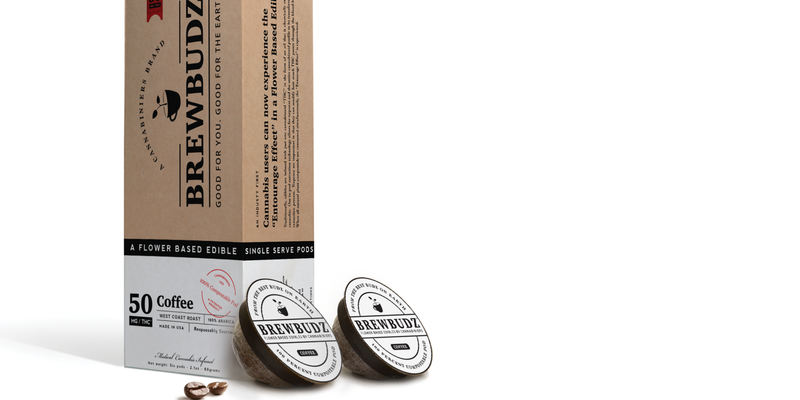 Now, BrewBudz has changed the game again by releasing weed-infused K-cups that not only elevate attention levels but spirits, as well. These new pods come in the wake of the recent election, resulting in 26 states now legalizing medical cannabis. With so many new customers wanting alternative ways to enjoy their cannabis, there was no way BrewBudz would ever find a better time to release such an essential cannabis delivery method. Aside from the ingenious combination of coffee and cannabis, BrewBudz has even included teas and hot chocolates in their K-cup selections. The individual pods all contain 50mg of THC and come in a morning blend black tea variety, with chamomile and green tea set to be released soon, as well as coastal roast coffee, their signature true-coffee-taste blend, with vanilla and hazelnut coming up next. The teas and coffees are also available in both caffeinated and decaf varieties, so even if consumers don’t want a jolt of energy they can still get a delightful buzz. The sativa strains blended with the caffeinated pods deliver a wonderful, energizing and uplifting high that pairs perfectly with an early morning rush. Rather than taking the time to make coffee and smoke before heading out the door, now cannabis lovers can get both benefits without having to take the extra step. The decaf pods utilize an indica strain, which leaves drinkers calm and relaxed, simply able to enjoy the soothing warmth flowing from their cup. There’s no need to worry about contaminating expensive Keurig systems either. The cups don’t leave behind any residue, which could enhance future cups of coffee unintentionally. The discrete packaging is 100% compostable, so extra cautious users don’t have to worry about the pods breaking down and leaving toxic chemicals behind, like the standard plastic pods, which could harm the environment. This innovative new cannabis delivery system is perfect for discrete consumption and time-saving for those busy, on-the-go mornings. It combines two of Americans favorite substance, caffeine and THC, in a way that makes it easy to get your morning fix quickly and discretely.